This item ships to the US and Europe. Additional shipping costs are required for some regions. See HELP>Shipping for details. 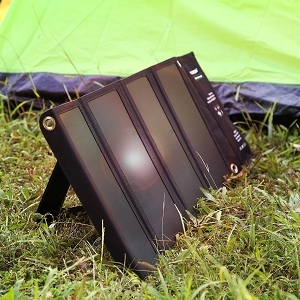 【High Energy Conversion】: Constructed with SUNPOWER solar charging cells that have an increased charging efficiency of 21.5% - 23.5%, you can power your portable devices from sunrise to sundown whenever you are outside. 【 3 USB Smart Charging Technology】: The built-in smart IC chip intelligently identifies your device, and maximizes its charging speed while protects your devices from overcharging and overloading. 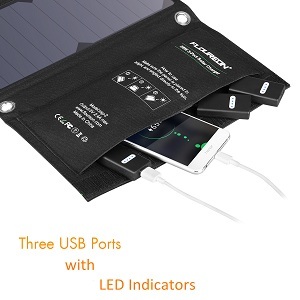 The charging current of USB ports (up to 2.4A max 5V DC per port or 3.3A max overall) is monitored and automatically adjusted according to the sunlight level. 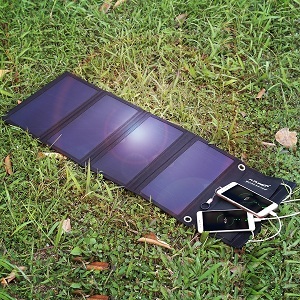 【 Compact Size】: One of the most compact solar chargers on the market. 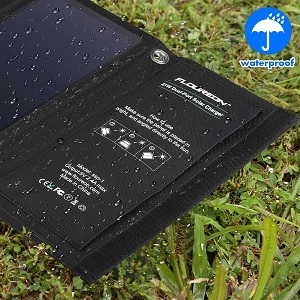 Benefit from free solar energy in a lightweight foldable format you can always carry with you no matter where you go. 【LED Indicator & Waterproof Nylon Fabric】：Four LED indicator light let you know the power at any time// it's designed with waterproof nylon fabric,3 bonus micro-USB cables, and four stainless steel hooks for easy hanging on a tent or backpack. 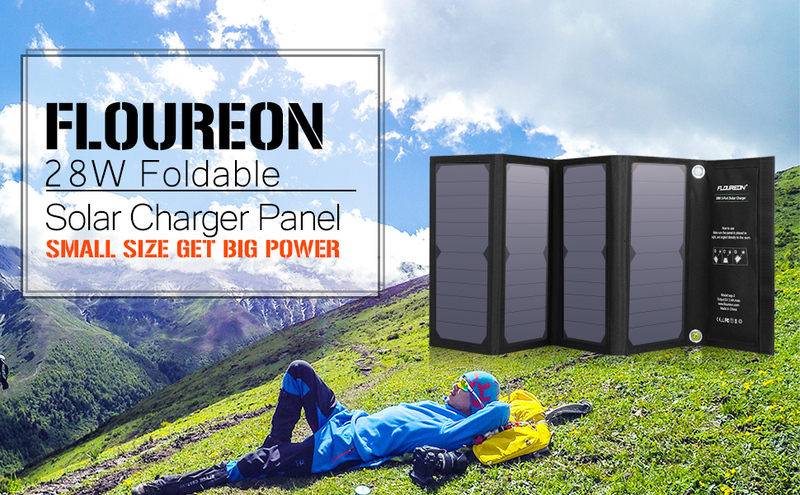 【 What You Get】: 1 x 28W foldable 3-port solar charger; 4 x Hooks; 18-month warranty and friendly customer service. 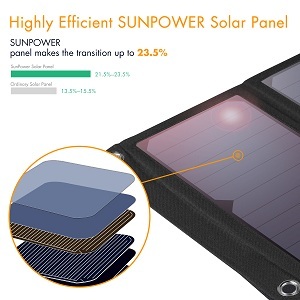 SUNPOWER panel makes the transition up to 23.5%, you can power your portable devices from sunrise to sundown whenever you are outside. More effective with just 4 panels for 28W, ultra lightweight design ideal for long treks. Special stands get more sunshine collected. Short circuit and over current protection technology keep you and your devices safe.